Grading is essential to a smooth and finished looking lawn that will prevent draining issues. Soil can settle and compact over time or can be caused by something new like a tree root pushing up. Grading will level your landscape for a smooth and rich looking lawn. 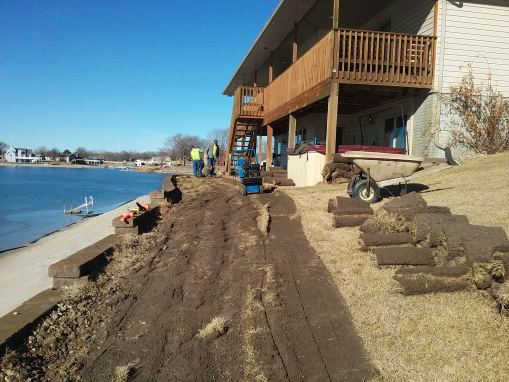 Not only is it aesthetically pleasing yard, it insures erosion control, and prevents serious water damage to foundations that can end up costing thousands in repair.